Hydrogen Fuel Cell Light Tower is environmentally friendly alternative for temporary lighting solutions. This safe, quiet light tower operated cleanly with zero emissions. Portable Solar Light Towers provide bright white lighting on a solar charge. Because they have no engine, they produce no fumes, are silent, and require almost no maintenance. Create a uniform light pattern across your job site or event any time of day. Easy to use with run times up to 60 hours on a full tank of fuel. 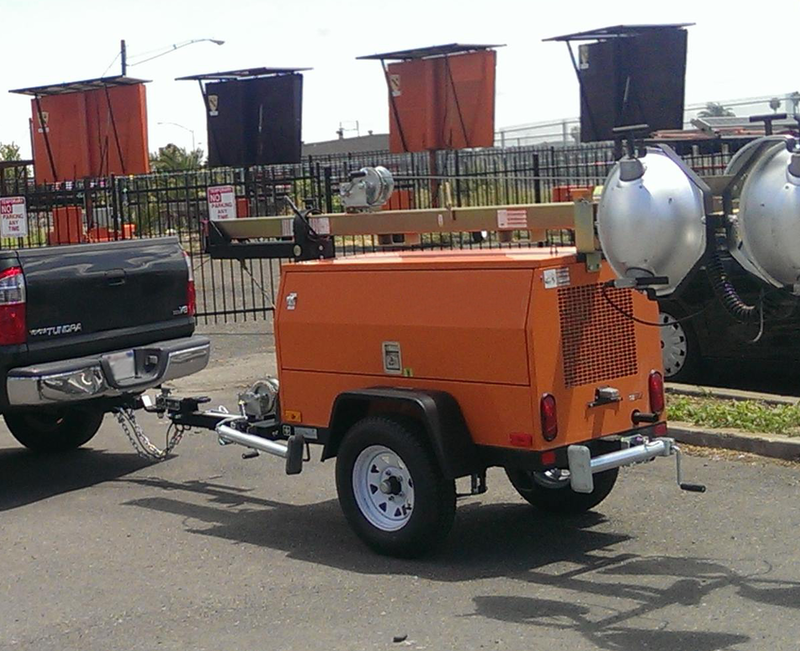 The 30-foot variable-height mast with rotating tower reduces need to move trailer. Wanco Diesel Light Towers are ideal for wide-area outdoor lighting in a variety of construction, industrial and commercial applications. Their small size and ease of use translate to portability and quick. Find out more about Wanco Light Towers and other Wanco products First Vanguard offers at the Wanco online product catalog.